Clayton Kershaw Makes Impressive Return In D.C. Going into Tuesday, it had been over a month since Clayton Kershaw last threw a pitch on the major league level (down in Australia against the Diamondback’s on March 22nd). However, despite the large gap due to an injury, Kershaw picked up right where he left off, overpowering the Nationals and recording his second win of the 2014 season — the 31st start of his career with zero earned runs on seven or more innings pitched. Kershaw’s missed month was due to an injury he acquired after plowing through the D-backs lineup in game one of the 2014 Opening Series in Australia (a start that many are now questioning), experiencing a strained left shoulder muscle afterwards, which landed him on the disabled list for the first time in his seven-year career. 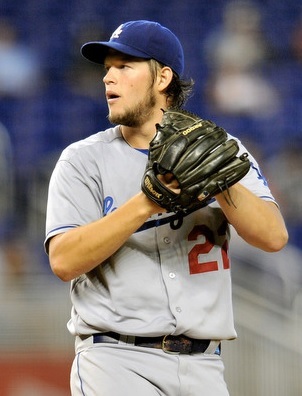 Though many people felt that the Dodgers were too cautious with Kershaw, spreading his rehabilitation out over several weeks, you can understand their concern, having just locked him up on a seven-year, 215 million dollar, record breaking contract back in January. Making two rehab starts down in the minor leagues before getting the call back up to the majors, Kershaw’s return couldn’t have come at a better time for the Dodgers, who were merely managing to keep in contention, having gone 17-15 without him. Sitting behind the Rockies and Giants in the National League west, despite pre season predictions from many for them to run away with the division, having Kershaw back immediately makes the Dodgers a stronger overall team. But the loss of their two-time Cy Young award winner for the first part of the season didn’t just have an impact on the Dodgers as a whole; it may prove to have a big impact on Kershaw himself. Although he moved to 2-0 with a 0.66 ERA on the season, behind an 8-3 win on Tuesday night against the Nat’s, having missed over a month, many pitchers in the National League have been given the opportunity to overtake Kershaw when it comes to the running for some of the games’ highest honors. None more so than Jose Fernandez. 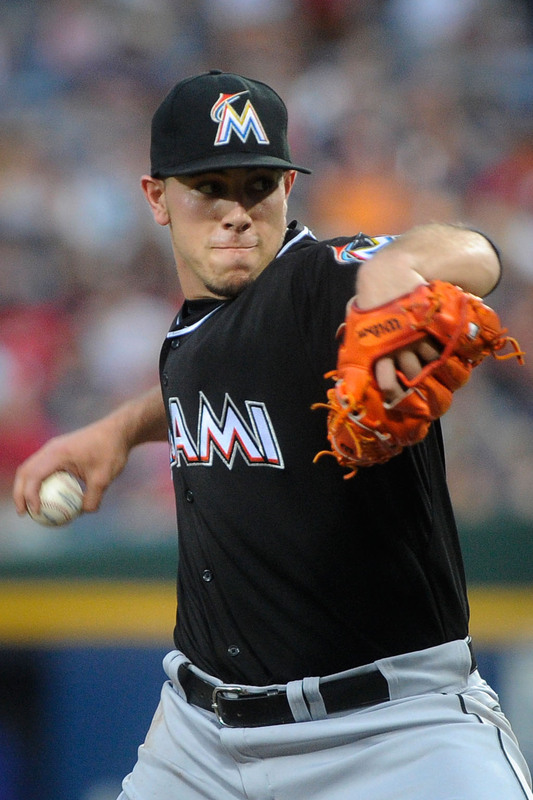 Fernandez, who finished third in Cy Young voting in 2013 (truly saying something considering the fact that it was his rookie season), currently sits as the front runner to make the start for the National League All-Star team in July, as well as to win the 2014 NL Cy Young award, with his stat line of 4-1 with a 1.74 ERA on the year. Given, there’s still a ton of the season left where anything can happen, with Kershaw having to play catch up, Fernandez could potentially run away with the voting at season’s end, should he be able to continue his fantastic pitching performances. Even so, Clayton Kershaw’s return is good for both the Dodgers and baseball, even if it did come a bit later than in year’s past. Every time he takes the mound, people stop and watch to see how Kershaw will perform, as there’s always the chance for something special to happen. Going down in the record books — at least for now — as the highest annually paid pitcher in Major League Baseball history, Kershaw showed on Tuesday why he’s worth every penny the Dodgers spent, and, inevitably, why he will go down in the record books as one of the best pitchers the game of baseball has ever seen. Over the past week, or so, I’ve been typing up posts on who I feel deserves the awards of American League and National League Most Valuable Player, Cy Young, and Rookie of the Year. Some of them have been accepted by nearly everyone as the logical choice, however, a couple left several people disagreeing with me. Feel free to click the links associated with each award to be taken to my post on it; giving the reasoning behind my picks. I’m planning to post a blog entry covering the winners of each award when they’re announced next month, comparing my original picks to the winners and giving my overall thoughts. So be sure to check back for that. I’ll probably have a lot to say about a few of them. Do you agree or disagree with my picks? Leave a comment below . . . . There is currently a great debate going around the baseball world as to whether or not Yasiel Puig should be an All-Star this year. He certainly has the stats to warrant it, but some say he hasn’t been in the major leagues long enough to receive the honor. I for one think Puig deserves to take part in the 2013 All-Star game at Citi Field, on July 16th. Just taking a look at his insane stats makes it an easy decision for me. 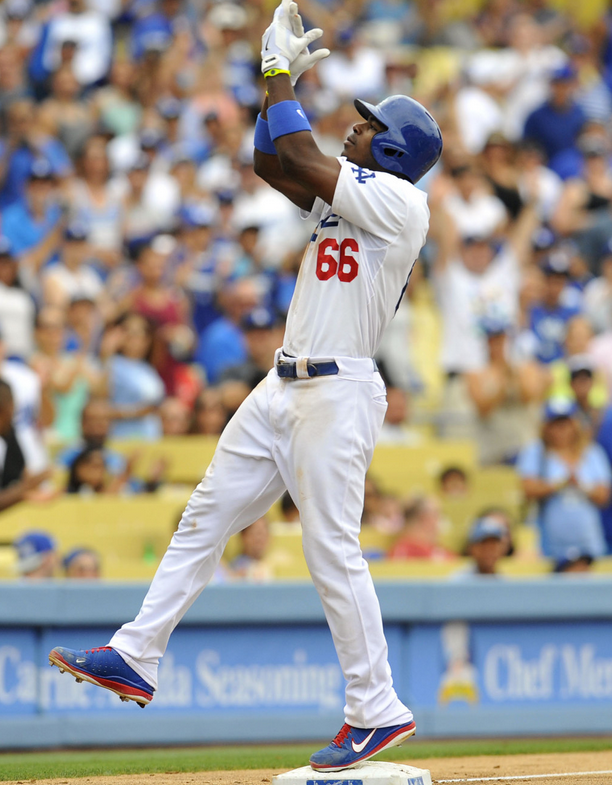 Puig is currently batting .440 with 8 home runs and 18 RBI’s, including a .466 on base percentage. While that’s only coming over the course of 28 games, that translates into 116 plate appearances; so it’s not like it’s an extremely small sample size. Puig has proven to be consistent, regardless of the amount of time he’s been in the big leagues. But it’s not just the physical stats. Puig brings a level of intensity to the field that you don’t find with many other players–it could be argued that he plays even harder than Bryce Harper. He give 110% every game, and never gives up on plays no matter how unlikely they seem. That’s the kind of player I want to see as an All-Star. Just because he doesn’t have a lot of experience, doesn’t mean he doesn’t have a lot of natural talent. That beats experience any day, in my book. Having the ability to impact any team he’s on–showing that presence by helping to turn around the Dodgers–Puig would be a vital asset to the National League team, in my opinion. As important as the All-Star game has become, I would think they’d want all the help they can get, and that includes a star like Puig. Puig has been compared to guys such as Bo Jackson, and is coming off of the best first month to start a career since Joe DiMaggio. Anytime you’re associated with names like that, then of course I feel you should be an All-Star. I truly don’t get why some people don’t think Puig should be. Time in the majors doesn’t mean anything when you’re as good as Puig is. If Puig can keep up his hot start, he could possibly win rookie of the year; if the Dodgers make the playoffs, he stands a good shot to win MVP; but even before all of that, with the way he’s playing, I think he should be an All-Star.